The Marion Cultural and Civic Center is located in the southwest corner of the Tower Square Plaza in the City of Marion. 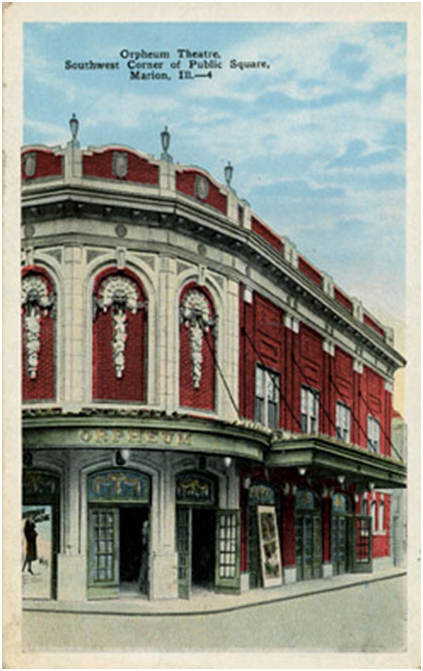 The original building was built as a movie theater and vaudeville showplace. The first improvements to be made to the playhouse were in 1927. With the innovation of the “talkies,” $10,000 worth of sound reproducing equipment was purchased and installed to show the first talking movie, The Jazz Singer, featuring Al Jolson. 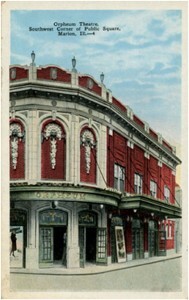 The loss of attendance and revenue, along with the increasing high cost of maintenance, forced the playhouse to close its doors in 1971. For the next few years the building lay idle and deteriorating. But in 1973 the City of Marion purchased the building and property for a modest sum of $11,000. No firm decision was made as to what the city would do with the property. Several ideas were suggested, but a new concept came about during this period —the civic center, a multi-purpose building that could be used for all types of entertainment, town meetings, forums and conventions was created. The city council made a decision to hire a local contractor to make an evaluation of the building and to submit an estimated cost of repairs for their consideration. The contractor found this building to be structurally sound, but in need of a tremendous amount of repair before it would be safe for public use. Once the evaluation and estimates were received by the city council, a decision was made to appropriate $140,000 toward the renovation. On May 9, 1975, Mayor Butler cut the ribbon at the grand-opening. Will Rogers, Jr., was the featured artist of the evening. Since it re-opened its doors in 1975, two former presidents, Ronald Reagan and Jimmy Carter, have appeared on its stage. Music and television stars Red Skelton, Mickey Rooney, Donald O’Connor, and Gordon MacRae, along with country music stars Randy Travis and Mel Tellis, and the outstanding piano virtuoso, Van Cliburn, have adorned its stage. Some big name bands famous during the 40s and 50s-Tommy Dorsey, Glenn Miller, Woody Herman, Guy Lombardo and Doc Severinson-have made several appearances at the center. 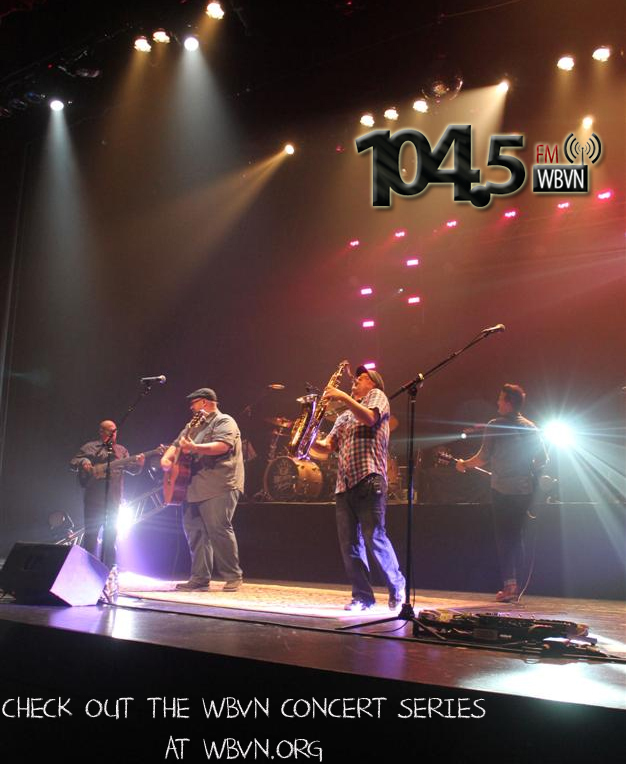 WBVN has been a frequent patron of the Marion Cultural and Civic Center, enjoying the use of this venue to bring Contemporary Christian artists to Southern Illinois. 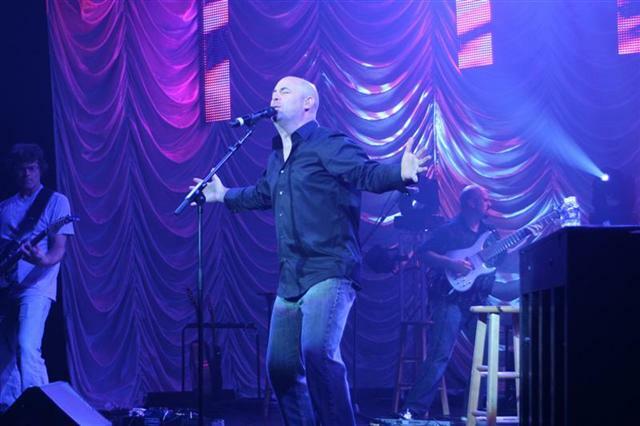 The last WBVN concert in the old civic center was CCM artist Michael O’Brien on Friday, March 7, 1997. Three days later the 75-year-old civic center burned down. 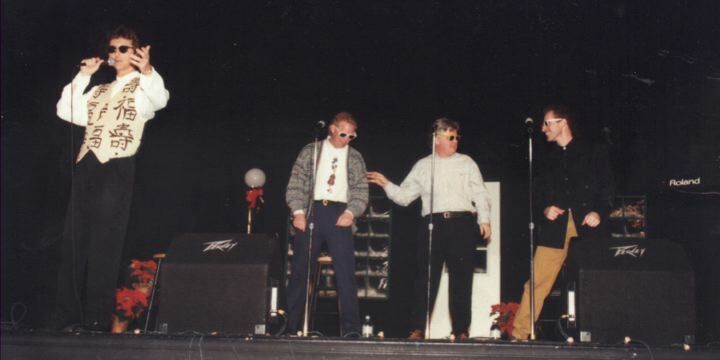 After producing concerts in various locations including SIU’s Shryock Auditorium, the SIU Arena, Rend Lake College, Southeastern Illinois College, and frequently in the John A. Logan Auditorium, we finally established a series of concerts at the Aldersgate Methodist Church, near the original WBVN studios located in the warehouse at Sherlock Holmes Mobile Homes east of Marion. 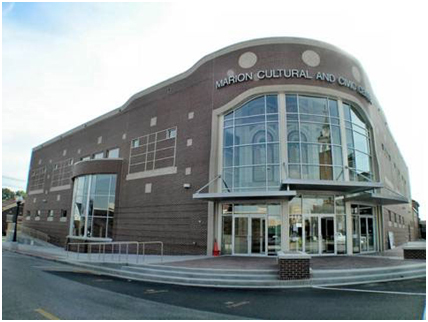 In 2004 the New Marion Cultural and Civic Center was opened and we began a long run of concerts again at the original location of many of our early concert series. 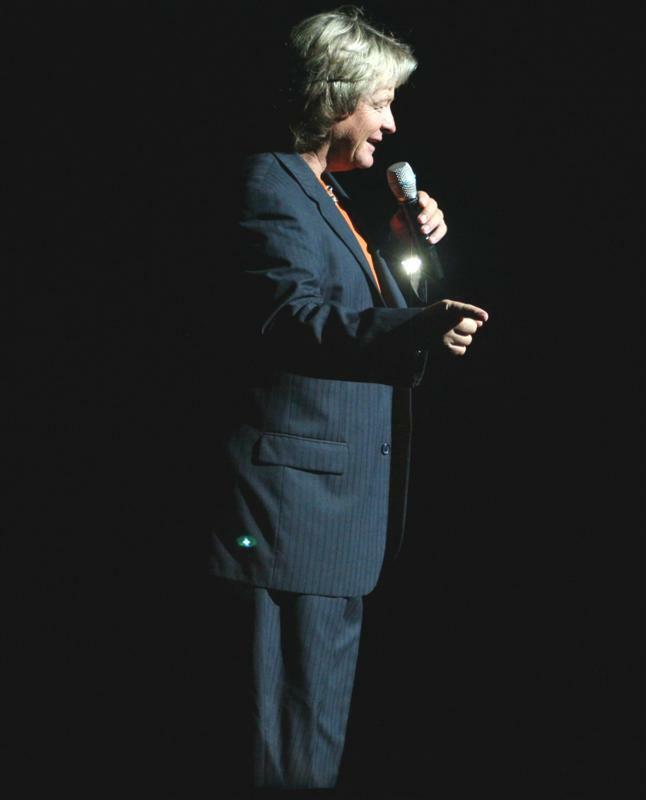 Our first concert in the rebuilt civic center was Mark Schultz on July 17, 2004 to a sold-out crowd. We would on May 6th, 2005, host the filming of Mark’s DVD, A Night of Stories and Songs. 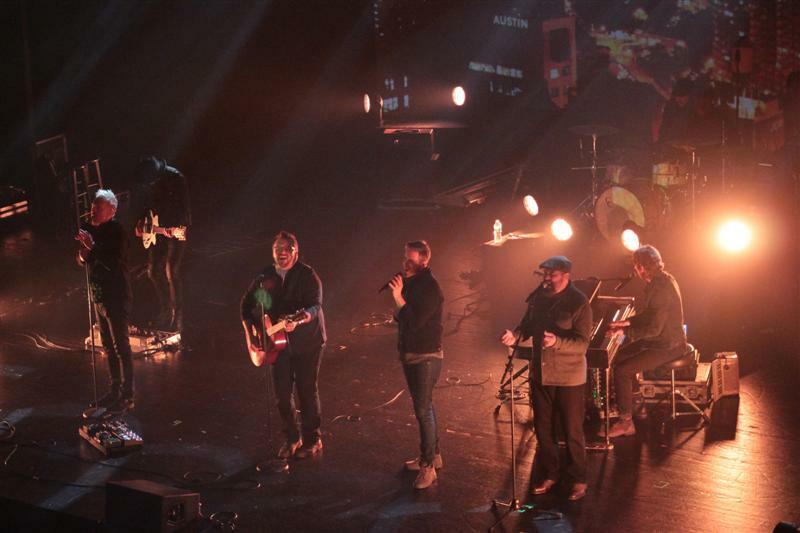 We filmed two separate concerts with over 1800 people in attendance for a matinee and evening event. The following is a Historical List of WBVN’s Concert Series…Thank you all that have shared these nights with us and helped make the Series a successful outreach of this radio station. 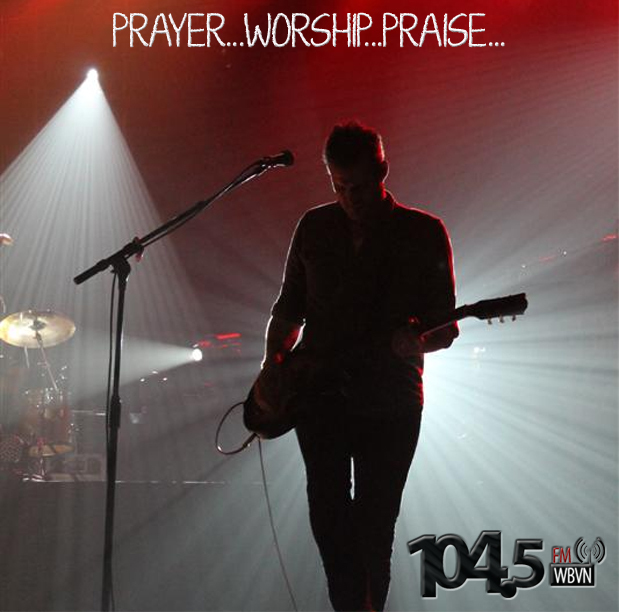 Concerts have played a major role in what we believe this ministry is supposed to be doing for our listeners and their friends and families. On his program the other day, I heard Ravi Zacharias talking about the stock market. I don’t know if you’ve ever watched the ‘most manipulated game in town,’ but stock charts are what Ravi was referring to in his program. In the market, a lot of charts have huge ups and downs; the highs are very high and the lows are like the bottom of a roller coaster ride. Sometimes those charts can constantly be changing up and down; those kinds of charts are referred to as ‘chop’. They’re nervous charts. Run one way a short while, and then change course and run another way in dramatic reversals. Now if you’re trading the markets, the ‘chop’ charts can be your friend. In some market charts you can find people getting ‘whipsawed’, ‘retraced’ or trampled in a ‘breakout’ and you will learn that ‘head and shoulders’, is not just a shampoo. However, if you’re living life like that, your life is constantly running one way and then all of sudden drastically reversing. It’s not a very welcome emotional experience. Ravi was talking about how, as believers, our life charts should begin to take on more of a horizontal line as we allow Faith to stabilize our daily life experience. His point was that as we grow and learn as Christians we begin to take on a chart line in our lives that becomes more and more ‘flat line’. If I remember correctly, Ravi talked of how Paul encouraged us by teaching that he had become the same in little and in much. He was constant and consistent when it came to his life experience. In shipwrecks, prison and persecution, Paul had learned to live free from the emotional roller coaster traveling between belief and doubt. The more he knew Christ and his crucifixion the more the very high highs and the very lows became level, an easier road to travel. The charts in our lives would, in chart talk, reflect lower highs and higher lows as we lived this life, and could, if we permitted it to be so, cause us to become simple men and women of Faith, a constant Faith. In chart talk, take on a triangle shape with decreasing trauma to our hearts. One of the most important things that Jane and I have been aware of is a lack of burnout, or growing weary, in our Christian experience. I was in a discussion the other day with some friends and it dawned on me how blessed we were to have an ‘alive, moving’ Faith that continues to intrigue and reveal itself over all the years. I think another way to say that is we have never stopped learning more and more about the Mystery that was Christ Jesus. We haven’t stopped our learning experience to defend a doctrine, denomination or a persuasion. We’ve been blessed to journey along the Gospel way and not camp anywhere in particular or quit in one place along the Way. There’s a lifetime of discovery in this Message. I don’t think we ever reach the fullness of everything there is to know about Christ, but we can add Revelation to each and every day. God is a moving, alive God, and while He is unchanging, He moves in us and on us throughout our lives. And, while we may think we’ve discovered all there is to know of God, in reality the learning and the experiencing never ceases. This is always something new, something to be amazed at in His story, all the time. The picture God drew for us of this journey is the tabernacle. As we enter the front door we pass along through a process, moving through altar, washings, candlestick, showbread, table of praise and stand at the entrance into the Holy Place. We do not enter at the door and just stand, we move along through the Christian Life experience. Jacob did exactly that, left the safe place and packed up his family and re-located, this time to a place named ‘El-Bethel,’ literally, ‘God of the House.’ Jacob now had two experiences with God. He had found where God was at the end of the first journey, and on the second he had found who God was. Jacob had ‘located’ Him in the first and had come to ‘know’ Him in the second. We have the same opportunity in our lives. We find Him one day and over time we need to continue to learn of Him. Just as with Jacob, there’s another journey to take. That journey is the purpose and the fulfillment of the first two journeys. For believers, God has prepared a place for us, revealing it in our hearts. It’s not only a future Heavenly promise, but promises in our earthly experience as well. In Jacob’s case it was called Ephrath. As you read Scripture you discover Jacob had no idea why he was to go there. (In fact, he had a lot of opposition to going to Ephrath.) All that Jacob knew was that he was to go and simply followed God to that place. At that time the town of Ephrath was of no real consequence. However, generations later, we discover that Ephrath became Bethlehem. Do you know why Jacob needed to go to Ephrath? On the journey Rachel died in child-birth. But a son was born to Jacob and Rachel. A son Jacob named Benjamin. Benjamin would raise his sons in Ephrath, and his son’s sons would be born there, and their sons would live there. Jacob’s great, great, great, great, great, great grandson, Boaz, would be born there. In Ephrath, Boaz would meet Ruth, they would have a son, Obed. Obed had a son Jesse and Jesse had a son David and out of Bethlehem, out of David, would come a ‘Son’ named Jesus. Jacob’s move had a purpose beyond what he could see. God had a plan for all the earth and it was located in the last move of God in Jacob’s life. Twenty two years ago, Jane and I moved from our comfortable spot and began this journey called WBVN. In following Him to another place, we discovered more fully the provision and the very nature of God. In this place we discovered ‘El-Bethel’ or the God of the house. We believe by following Him here, moving with Him here, we discovered more of His personality, character and faithfulness. In being led by Him, rather than just staking out a place of comfort, we found God everywhere we went. Here, we learned more about who He is, not just where He is. Here, we experienced miracles of God. Here we grew more confident in Him. 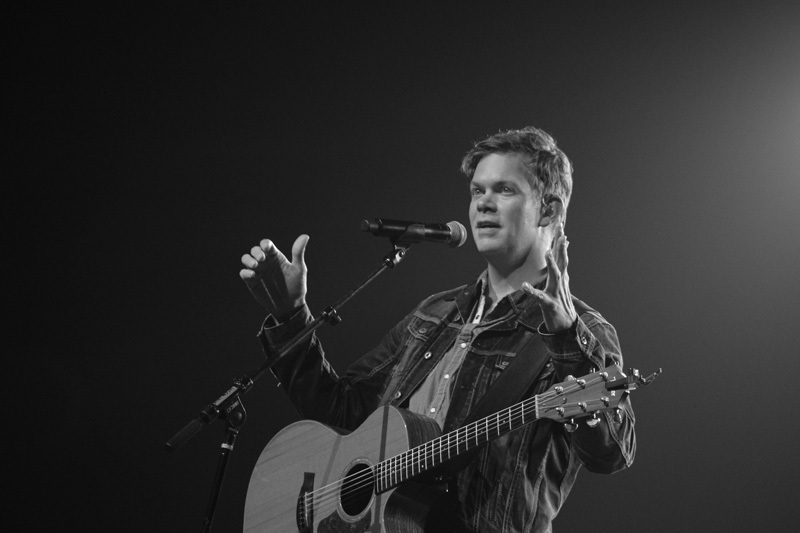 Here we found His Grace sufficient. He is new every morning because He leads us into a new place every morning. Our ‘Christian talk’ of following Him and that He is a lamp unto our feet became more real than ever before. Our encouragement to everyone is not to stop where you met Him. Continue to move forward. We have not arrived yet, you probably have not either. We are refreshed by knowing that tomorrow is full of Hope and Love and those are places we find the Peace of God. Obviously, for years now this ministry for us is about encouraging people. It’s not this building on Market Street, though it is a wonderful place to have settled into. It’s not the radio equipment and such, although it’s amazing what technology we have been permitted to use to share this Message. It’s not being in some kind of show business, or the artists we have met over the years. Really, it’s not even the music. 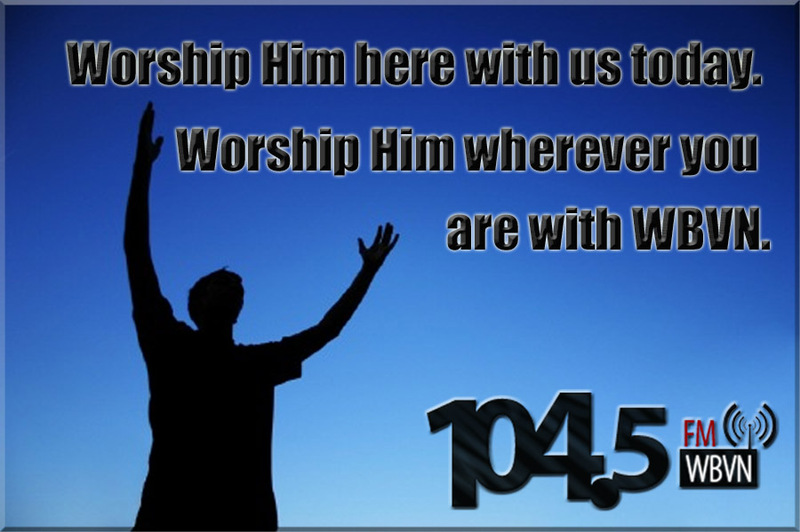 For us, it’s about changing people’s attitude about their God, who loves them so much that He gave. For sure it’s about people finding the house where God is, but just as terrifically, it’s about encouraging them to find the God of that house.